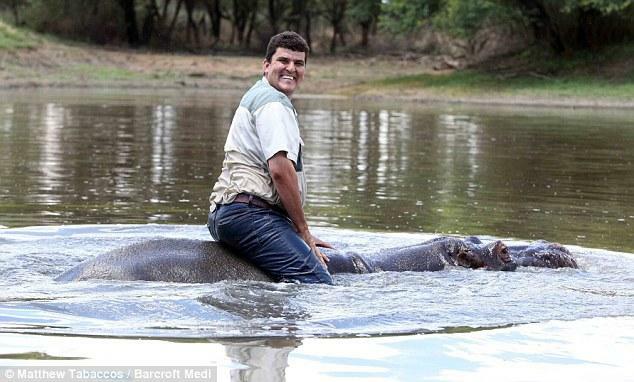 Farmer gouged to death by pet hippo Humphrey who was 'like a son to him'. 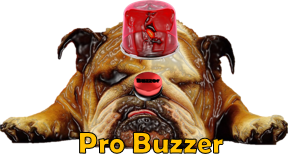 Scroll down to see Humphrey's video from six months ago. 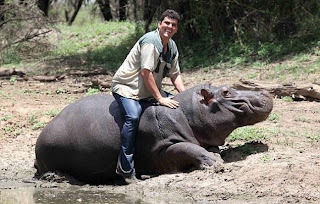 A South African farmer has been killed by the pet hippopotamus he raised from the age of five months, and which he once described as being 'like a son' to him. 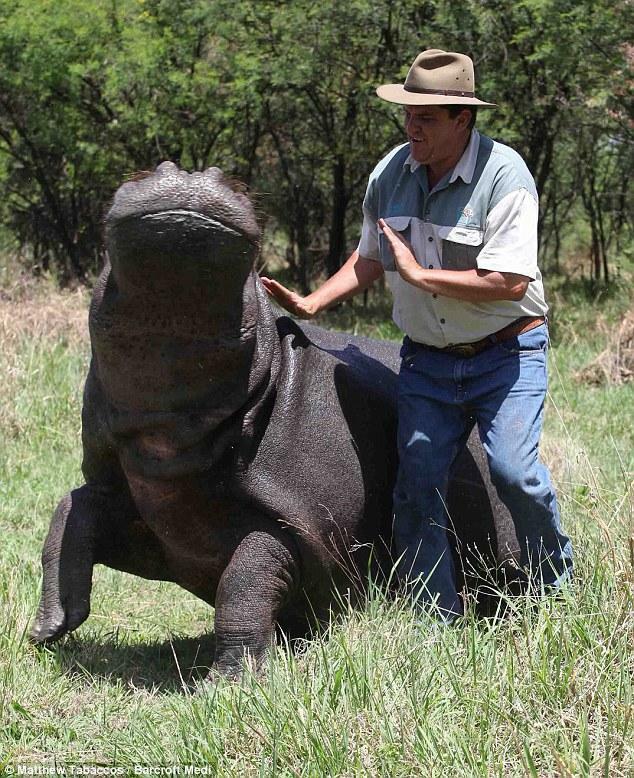 Humphrey the Hippo gouged owner Marius Els, 41, to death by repeatedly biting him in a vicious attack on Saturday night. The farmer's mutilated body was discovered submerged in a river running through his 400-acre farm in rural South Africa. 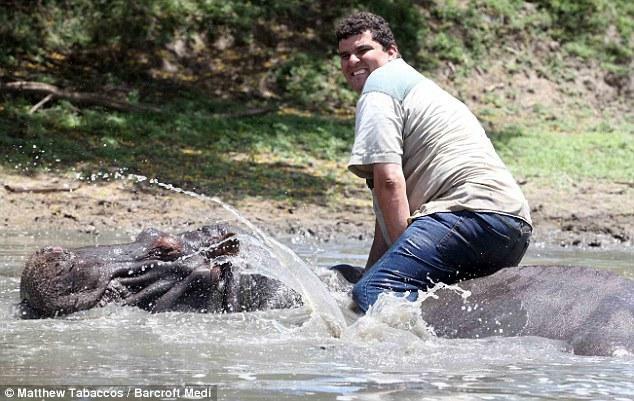 Only earlier this year Mr Els, who was married, was pictured happily riding on his 1,200kg pet bull hippo's back. 'Humphrey's like a son to me, he's just like a human,' he said at the time. 'There's a relationship between me and Humphrey and that's what some people don't understand. 'They think you can only have a relationship with dogs, cats and domestic animals. 'But I have a relationship with the most dangerous animal in Africa.' 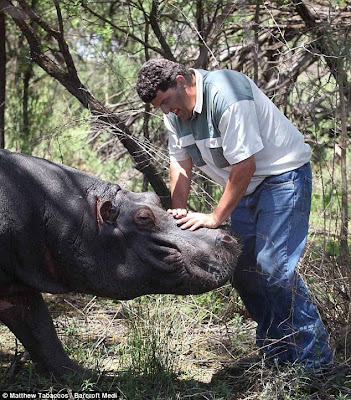 Mr Els kept 20 different species of exotic animals, including giraffe and rhino, on his farm near Klerksdorp in South Africa's north west. But he developed a special fondness for Humphrey, whom he bought aged just five months and for whom he even built a special lake. While Mr Els appeared to revel in his status as the man who had tamed a hippo, he did recognise his pet's power and danger. 'If he decides to get me off his back, then he throws me over like a horse', Mr Els told an interviewer before his death, adding: 'My friends won't even go near him.' 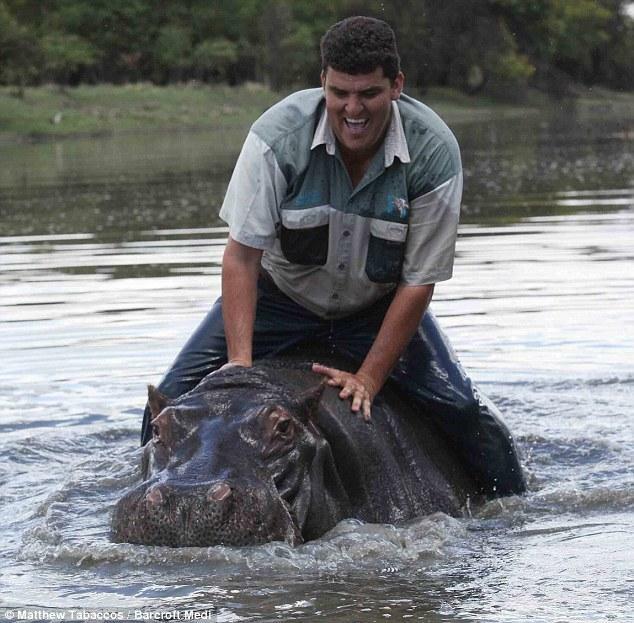 Humphrey's dangerous side was displayed in March this year when he tried to attack two canoeists as they made their way down the Vaal river. A 52-year-old man and his seven-year-old grandson were forced to scramble out of their canoe and climb a tree when they were approached by Humphrey. The terrified canoeists screamed and clapped in an attempt to drive the animal away from the tree - but Humphrey refused to move. Mr Els eventually managed to lure the hippo away with an apple, explaining that he had only approached the pair because he was hungry. Yesterday, a spokesman for one of South Africa's private ambulance services revealed that his staff were called to Mr Els' farm late on Saturday evening. 'Paramedics responded to the scene to find that the man had been bitten several times by the animal and had also been immersed in the river for an unknown period,' Jeffrey Wicks said. Mr Wicks explained that the farmer was declared dead at the scene, but added it was not know for how long he had lain undiscovered.